With the help of our Mentors, you’ll have a resource for deck-building advice, rules guidance and answers to any of your other Magic questions. Our Mentors are knowledgeable players who are available for one purpose – to make sure you can play in Friday Night Magic with confidence. Some are even official Magic Judges! So please don’t hesitate to approach them and pick their brains. Stop in on a Friday and you’ll be able to talk to a Mentor between 5:30pm and 6:30pm (the hour before Friday Night Magic). Excellent! Our Mentors are experienced players who want to talk about Magic for an hour before FNM – and who want 500 MVP points for doing so. If you want to, you can sign up for one of our weekly Mentor spots between 5:30pm and 6:30pm on Fridays. But first thing’s first. 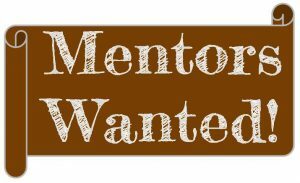 Let us know you’re interested in becoming a Mentor by sending an email to outreach@justgamesroc.com. Let us know your name, email and a quick blurb on your background in Magic: The Gathering.